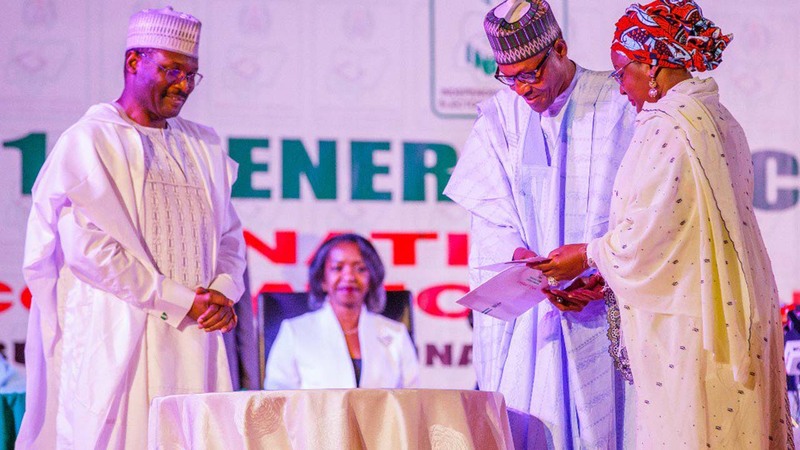 Nigeria’s Independent National Electoral Commission (INEC) chairman Mahmood Yakubu (L) presents to Nigerian President Muhammadu Buhari his certificate of election after he was re-elected on February 27, 2019, in Abuja. Economic experts have explained the paradox in Nigeria’s economic situation, where unemployment has continued to grow in the face of government claims that N4.59 trillion has been spent implementing the 2018 budget. 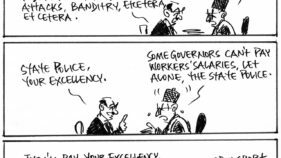 While economists doubt the veracity of the claims, others say the budgetary plans may not have included addressing the unemployment needs of the Nigerian nation. In order to stimulate economic growth, economist avers that when citizens are gainfully employed and produce valuable goods, the economy prospers. And these are the indices with which leaders are judges by economists. Thus the fate of a leader is determined by how many jobs he has created and how low the rate of unemployment during his regime. As at 2010, Nigeria’s unemployment rate was 5.9 percent. This rose steadily from year to year to 8.15 percent in Quarter 2 of 2015 when President Muhammadu Buhari acceded to power. By Quarter 3 of 2017 the unemployment rate had more than doubled to 23.10 percent in Quarter 3 of 2018. By the same time under employment rate had jumped to 43.3 percent by September 2018. Currently, more than 20 million Nigerians are unemployed while 18.2 million are underemployed including myself. This brings the unemployed and the underemployed totaling 39.1 million people out of 90.4 million labour forces. The youth: 45 percent of the population accounts for the majority of this unemployed and underemployed group. On opportunities for work; data from Manufacturers Association of Nigeria show that more than 272 manufacturing plants were shut down across the country in 2016 alone. The import of this is that the economy isn’t creating opportunities for employment fast enough. Worse still UNESCO put out of school children to be fed free in Nigeria as 13 million. But economists agree that since oil, the driver of Nigeria’s economy isn’t employment elastic, there was need to stimulate growth in sectors with linkages to job creation such as import substitution industries. In spite of his lacklustre performance as president Buhari was once again reelected last month for another four year term in office. Buhari’s unwavering popularity has caused opponents to say his All Progressives Congress party will collapse when his tenure ends in 2023. Though Buhari’s national security architecture smarcks of intelligence deficit, the truth is Boko Haram has been greatly degraded. Now is better than President Ebele Jonathan’s era when Boko pursued Nigerians up to the National Headquarters of the Nigeria Police Force in Abuja. 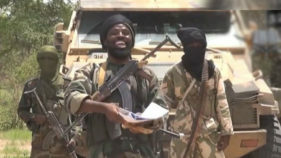 Gone are the days when Boko drove in a long convoy of hilux trucks as they did in Buni Yadi where they killed students, warning girls to stay out of school; and returning to base unchallenged. Though the image of the Nigerian Army has been tarnished by three raids: Chibok, Buni Yadi and Melete; it still remains impregnable. Also, Boko masquerading as gunmen and kidnappers in Katsina, Zamfara, Borno and lately in Sokoto state should be checked. Though their in-road to Abuja and Kano have been blocked, a permanent blockade can only be found in the establishment of state police in Nigeria. However, the open sore of the Bakassi Peninsula which was sold to Cameroon on the alter of President Olusegun Obasanjo’s third term leaves much to be desired. Therefore, the issue should be revisited. Besides, the cries of the Anglophone Cameroon should be assuaged by an offer of merger with Nigeria. Those Nigerians and Anglophone Cameroonians uprooted and dumped as refugees should be tackled now. More so when an Abuja High Court ruled in their favour on the account of having been deported to Cameroon in violation of international law. Buhari should leverage on Anglophone Cameroon’s separatist movement to nudge Yaounde to the negotiation table. To be fair, Buhari, popularly called Sai Baba could not muster a magic wand that could overcome the rapine and deprivation unleashed by an economy in intensive care which saw the crashing of Skye and Diamond banks: testimonials to Buhari’s anti graft success. Sai Baba should henceforth focus on infrastructural regeneration, improved power supply, inclusive and sustainable economic growth. 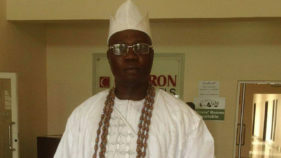 In the circumstances, Nigeria should settle for local refining of petrol by proving loans to refinery builders. Thus, subsidizing petrol with N1.5 billion daily is out of the question. By curbing debts, reducing personnel through the abolition of the National Orientation Agency and the National Youth Service Corps and privatising government refineries, the economy will be able to stem capital flight and attract foreign direct investment.